For the very last time, the intimate Silver Discoverer will offer eight 10-day voyages between Broome and Darwin, departing between April and June 2019. These fascinating explorations will provide a unique opportunity to view the ancient wonders and thundering waterfalls of the Kimberley during the region’s most spectacular time of year. Guests will have the chance to explore breathtaking scenery, ancient and mysterious rock art and numerous nature walks and Zodiac® tours, which reveal pristine beaches and awe-inspiring landscapes. The Kimberley is the ideal destination for those seeking adventure of a truly epic spirit. These hand-picked voyages will provide ample time to reflect on the region’s ancient human history and consider the wonders of nature in their purest form. From rugged coastlines and imposing rock formations, to deep gorges and the famous Kimberley coast waterfalls, guests will be humbled by the absolute splendour of this unique region. For ten unforgettable days, guests will have the chance to witness the tidal changes and semi-submerged world of Montgomery Reef, discover ancient and mysterious Aboriginal rock art, spot the White-bellied Sea Eagle, Osprey, Brahminy Kite or Peregrine Falcon and view the towering King George Falls. A highlight of these incredible voyages is a complimentary flightseeing tour of the dramatic tiger-striped Bungle Bungle Range. 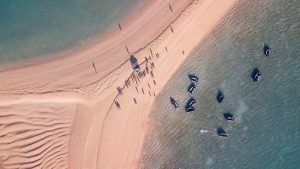 Departing April 15, 2019 – the ideal time to visit the destination – Silver Discoverer will take guests deeper into the authentic beauty of the Kimberley region on this 10-day voyage between Broome and Darwin. Guests will spend overnights in the Buccaneer Archipelago Region and the Hunter River Region, before visiting the King George River, Wyndham, and Saumlaki. 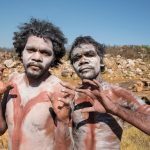 This remarkable itinerary incorporates the best of the Kimberley region, from thundering waterfalls, vast gorges and spectacular geological formations to rare wildlife sightings, fascinating Zodiac tours and introductions to Aboriginal artwork. Fares begin from AUD$10,500 per person, based on two sharing. The reverse itinerary of the previous voyage, this 10-day cruise departs April 25, 2019, and journeys through the heart of this unique region. Spot bottlenose dolphins, meet members of aboriginal groups, and learn about Wandjina and Bradshaw rock paintings, among other unforgettable experiences. After departing Darwin, Silver Discoverer will call at Saumlaki, Wyndham, King George River, the Hunter River region, and the Buccaneer Archipelago region, before arriving in Broome. Fares begin from AUD$10,800 per person, including Early Booking Bonus, based on two sharing. Silver Discoverer’s all ocean-view suites are some of the most spacious in expedition cruising and provide the perfect platform from which to view incredible sights from sumptuous surrounds. With the highest crew-to-guest ratio in the industry, all suites come complete with butler service. Guests can also enjoy inclusive room-service, including champagne, wine and spirits throughout the ship and unlimited complimentary Wi-Fi. Every Silversea expedition voyage features an Expedition Team, which boasts some of the world’s most experienced specialists in the areas of wildlife, biology, anthropology, geology, and history, to name just a few. These experts host activities designed to enrich the experience for guests, offering lectures, workshops, Zodiac® trips and nature walks, immersing guests fully into the authentic beauty of the lands they visit.